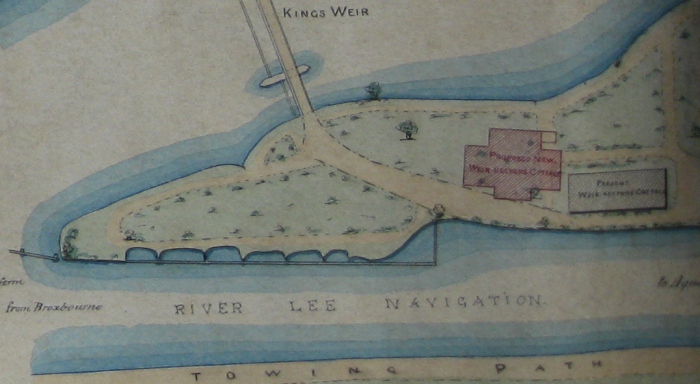 The weir marks the junction of the Old Barge River course and the 1767 channel of the Lee Navigation. A residence was provided for the weir keeper. 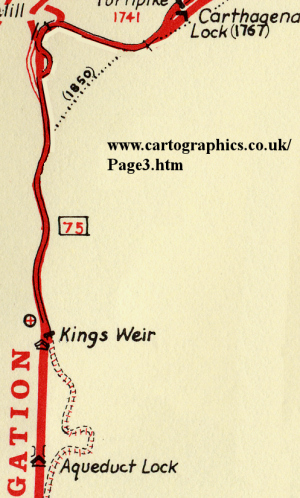 Kings Weir with the Weir House to the left, c 1925. 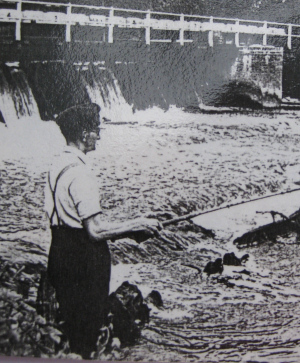 Arthur Newton, the weir keeper from The view upstream, with the shed containing recording equipment. Complained of the unsatisfactory state of his health. 25/- per week and house garden and uniform. 30 years and 4 months service. No dependants. Retired with 10/- per week (inc OAP).